SUPER SPECIAL: Buy 2 x 5000G tanks and receive a free Waeco Fridge! 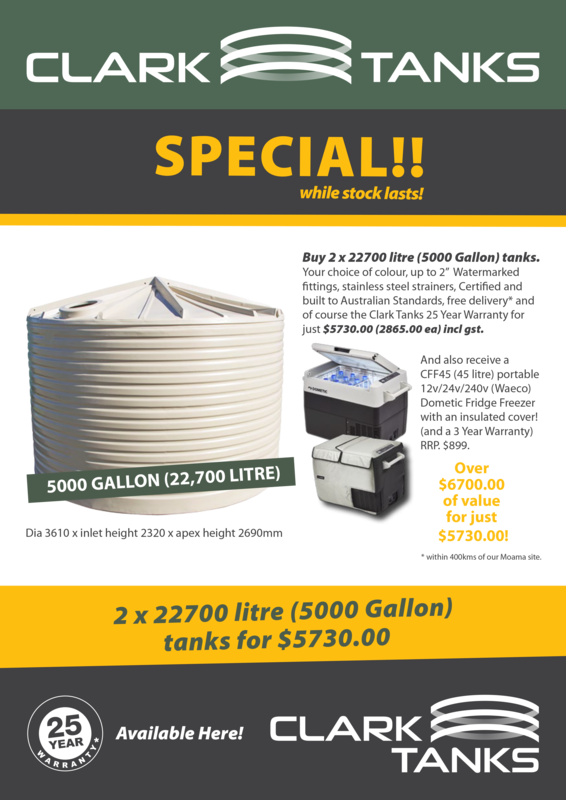 Don’t miss out on this fantastic special on our popular 5000 gallon tanks. Free delivery to most areas – conditions apply*. Lock in this great price today while stocks last. Call us today or use our online contact form and one of our friendly sales staff will contact you!